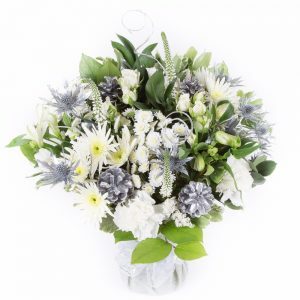 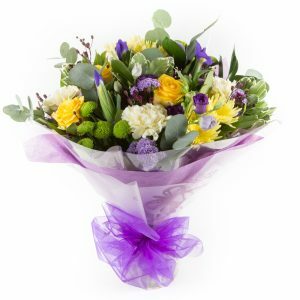 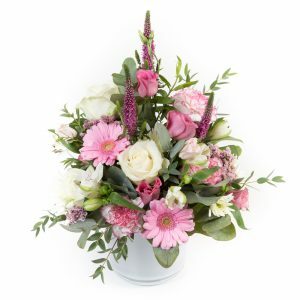 – Aqua Packed, this Bouquet is delivered in water. 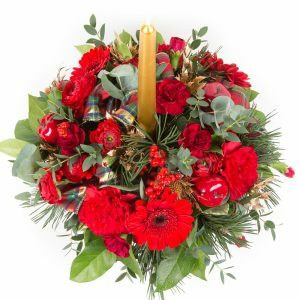 Our most popular Christmas bouquet. 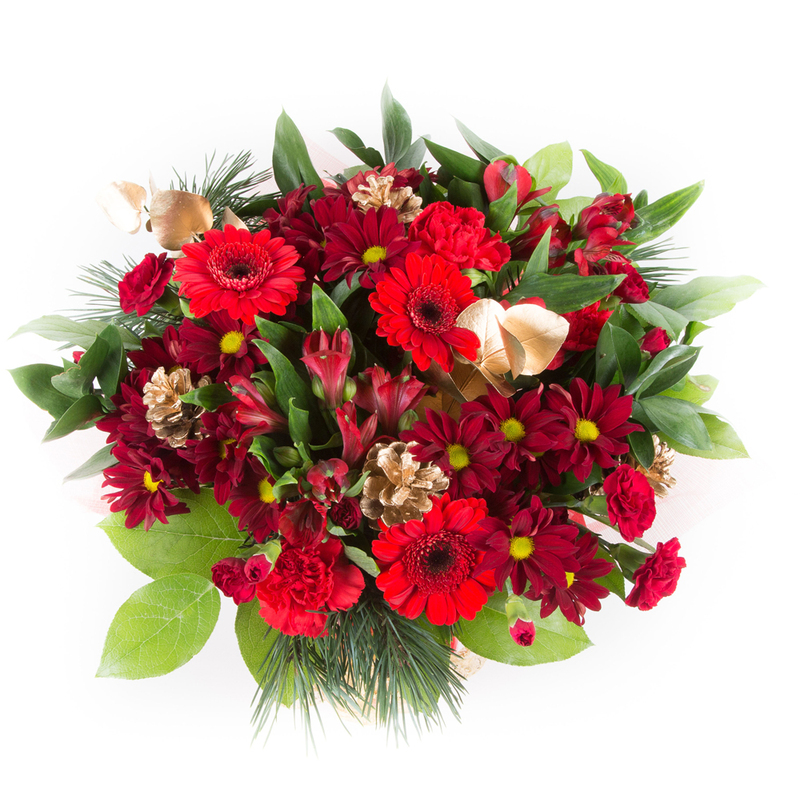 A beautiful mix of reds, greens and gold, perfect for Christmas.